Bizarro World: "Where Every Day Is Opposite Day"
Bizarro Superman just doesn't get enough love from the rest of the DC Comics Universe. Maybe it's because of his mangled diction. Maybe it's because all of his buddies are complete opposites of their paragon counterparts. Maybe it's because his face looks like someone took a kryptonite tire iron to Superman's skull. 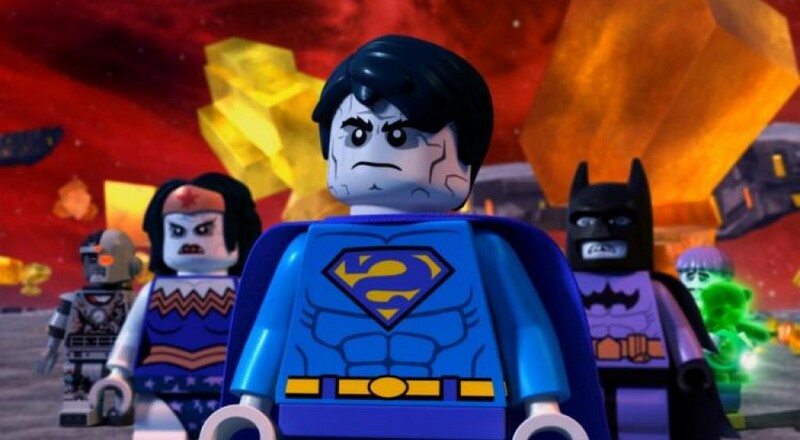 No matter how you feel about Bizarro Supes, he and his homies need your help in LEGO Batman 3: Beyond Gotham's new DLC, "Bizarro World," out right this very moment. Check out the trailer, and see why sort of trouble befalls Bizarro Supes this time around. It doesn't really matter who needs bailing out when Darkseid starts flexing. Even if the residents are completely inept, backwards-talking sociopaths. Take up the mantle of some of our greatest superheroes, turn them inside out, and act like the complete opposite of their original inspirations. Bizarro Superman's got heat breath and cold vision, Greenzarro's ego is the inverted value of Guy Gardner's universe-altering self worth, and Batzarro is arguably the world's most incompetent detective. You can snag this opposite day inspired pack for an easy $2.99 on PS3, PS4, Xbox One, 360, and PC. Or, if you jumped on the Season Pass train, this little adventure is included at no extra charge. Page created in 0.3858 seconds.